Low-cost airline Jetstar Pacific has launched two new international air routes linking Hanoi, Ho Chi Minh City and China’s Guangzhou city. Two Airbus A320 craft of the airline took off from Tan Son Nhat airport in Ho Chi Minh City and Noi Bai in Hanoi on January 15 at 22:45 and 23:50 respectively. The return flights landed in Tan Son Nhat at 5:20 and Noi Bai at 4:35 on January 16. Currently, the carrier operates four Hanoi-Guangzhou flights each week on Monday, Tuesday, Thursday and Saturday, along with five Ho Chi Minh City-Guangzhou flights on Monday, Tuesday, Thursday, Saturday and Sunday. Earlier, Jestar Pacific also launched routes linking Hanoi, Ho Chi Minh City and China’s Hong Kong, and another connecting the central city of Da Nang and Taipei in China’s Taiwan. Guangzhou, the third largest city in China after Beijing and Shanghai, is an important transportation, economic and trade centre. 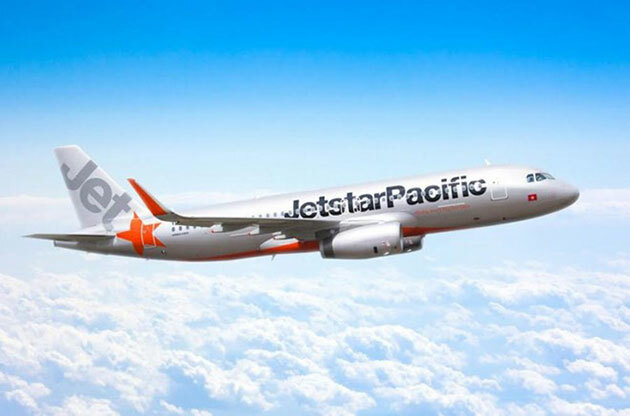 A Jetstar Pacific representative said that the new routes aim to better serve the rising number of passengers travelling between Vietnam and Guangzhou, contributing to boosting tourism between the localities. The carrier offered special tickets from 88,000 VND per leg on www.jetstar.com as well as through its agents nationwide. Jetstar Pacific, with two major shareholders of Vietnam Airlines and Qantas of Australia’s Qantas Airway, currently operates 37 domestic and international air routes./.